Send in the clouds, there ought to be clouds (in models) | Watts Up With That? LIVERMORE, Calif. — Climate models have a hard time representing clouds accurately because they lack the spatial resolution necessary to accurately simulate the billowy air masses. “The models are becoming more interactive and are taking into account the radiation data from the satellite observations and is an important part of the process of making better climate models,” said the Lab’s Stephen Klein, who along with LLNL’s Yuying Zhang and other collaborators have developed the Cloud-Feedback-Model Intercomparison Project Observation Simulator Package (COSP). “The models have been improving and refining their representations of clouds and COSP will play an important role in furthering this improvement,” Klein said. Other collaborators include: the UK’s Hadley Centre, Université Pierre et Marie Curie; University of Washington; Monash University, University of Colorado; and the National Oceanic and Atmospheric Administration/Earth System Research Laboratory. More information about the COSP appears in the August issue of the Bulletin of the American Meteorological Society. Your headline is completely misleading. COSP is a tool for assessing the clouds that are already in the model, not for changing the way the clouds are dealt with. It is important because it means that model output can be compared directly to satellite products that have very specific ways of looking at what is going on. Why is so hard to accept advances without the snark? Dan, please point out the snark…I must have missed it. So now we have an admission that climate models do not accurately reflect the role of clouds. That is progress. Unfortunately two of the links keep banging on about human induced water vapour – the dreaded CO2 feedback scenario. Never mind the natural temperature variations caused by…so many things I can’t be bothered to list them – that in themselves will push water vapour levels up or down. But every little helps, and we may even see one day the admission that despite the models, NOTHING MUCH HAS CHANGED. I think I’m missing something. We now have a model that predicts cloud conditions under future projected conditions that may not yet exist. How do we know the model is accurate at producing these projected conditions? Sounds like models all the way down. What about the convection that forms the clouds. Will that be modeled as well? I expect not, and so the warm air carried above the greenhouse will still not be accounted for. Superb response, Anthony, could not be improved on. Perhaps we need a new blog for the, what is the PC term, oh, yeah, “humor-challenged” among us. dan, the titles on the posts here at WUWT tend towards the whimsical. I like that, it is much more fun than the dull titles of most posts. They often are a play on words, or refer to some historical event or famous quote. My recent post on the coral reefs was entitled “The Reef Abides”, a somewhat cryptic reference to the film “The Big Lebowski”. This, of course, means that often there is not a one-to-one relationship between the titles and the content of the respective posts. And I’m sure that someone like yourself could point out that the reef doesn’t really abide, it changes all the time, and some reefs disappear, and as a result my title is not scientifically accurate … so what? It’s a post title, for goodness sake, not a guide to the scientific secrets of the subject matter. well said Willis I always like reading your writing even if it is a comment in a thread. That could not have been better cued. Thanks for the chuckle Anthony. When do we get to see the jugglers? It might not square with your preconceptions, but any “snark” is in the original press release. You may apologize now. Perhaps someone, somewhere, no understand Sondheim song. They have to look towards the clouds now with it not going to plan, can only ignore the obvious for so long. Well unless these new and improved cloud model simulation guesstimates deal FIRST with the REAL CLOUD FEEDBACK; which is the relationship that shows how MORE CLOUDS result in LESS SURFACE SUNLIGHT and how LESS CLOUDS result in MORE SURFACE SUNLIGHT, then it is TOTALLY IRRELEVENT how they THINK MORE CLOUDS, affect SURFACE EMITTED lwir. So deal FIRST with the huge negative feedback from cloud increase to solar energy decrease (AT THE SURFACE: AKA OCEANS). The effect on LWIR from the surface is almost inconsequential by comparison to the PRIMARY FEEDBACK TO THE MAIN CLIMATE DRIVER; AKA THE SUN. Well when I want to see what is in somebody’s back yard; I do not go around to their front yard and try to look right through their house. Likewise, if I want to know how much solar energy is reaching the ground (oceans) under the clouds; I do not go up on top of the clouds and look down. Get it !! your look UP to see what’s COMING DOWN, and you look DOWN to see what’s COMING UP. it’s 4-H club science. So George has admitted to being a peeping tom, while this is a bit scarey I do like the analogy. Well said, even my simple mind can grasp that! Note that whimsical titles make it a bit harder to find articles when scanning my monthly and category summaries at my Guide to WUWT. http://home.comcast.net/~ewerme/wuwt/index.html . The art is to come up with a whimsical title that conveys enough information to the person scanning the list of titles. Maybe there are some hot clouds up there hiding the heat. Somebody tell Trenberth. Wow…the model has told us all this about dynamics like clouds…and the cause ….climate change, of course. I am sure once all the models have been adjusted we will find…its worse than we thought! Hansen, Mann, Jones, Trenberth, and their benighted acolytes forget that since 1890 the rebound from a 500-year Little Ice Age (LIA) has progressed in cycles of ever higher frequency, shorter wavelength. 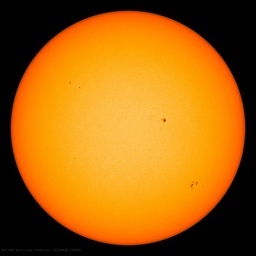 Following a 30-year warm-phase from c. 1980 to 2009, the current 20-year period from c. 2010 – 2029 represents an ultimately short-term chill presaging not merely a 70-year “dead sun” Maunder Minimum similar to that of 1645 – 1715 but an overdue resurgence of 102,000-year Pleistocene Ice Time. Absent the 1,500-year Younger Dryas “cold shock,” which reset the Holocene Interglacial’s 12,250-year median projected time-frame, Earth’s Long Summer would have ended coincident with the Roman Warm about AD 450. As it stands, the Holocene began to peter out in 1950. All the Green Gang’s fancy-dandy measurements and self-serving models cannot put this post-glacial interstitial epoch together again. I’d say you are right as well. I always figured that “The Dude Abides” was a play on “The Earth Abides”, one of the favorite novels of my childhood. That’s why it was so funny to me. I wonder if the climate hippies can’t model clouds, not because they can’t accurately model anything else, but because it gives them flashbacks. eeek 0_o M A G I C D R A G O N S! We’re doomed, we’re doomed. Earth’s radiation budget (e.g., Kiehl and Briegleb 1992; Ingram 2010). However, UTH is not well simulated by current climate models (Pierce et al. 2006; John and Soden 2007). Send in the clowns… delete delete delete… clouds. It IS a great advancement for Climate Science; now they’ll have better explanations for why reality needs adjustment to the models. So now we have an admission that climate models do not accurately reflect the role of clouds. You should perhaps acquaint yourself with realclimate, who have been saying that consistently, and have explained in some detail the shortcomings and occasional advances with cloud modelling. Or check out the IPCC report, which spends time time talking about the advances and problems with cloud modelling – chapter 8 on models has a lot on that sub-topic. Real skepticism is omnidirectional. Just because something is said (or jokingly implied) at WUWT, doesn’t make it true. @henrythethird : I swear I hadn’t read your comment… It was probably still “awaiting moderation” when I posted mine anyway… Shall we say that great minds think alike? So then a new type of Holy Divination is to be used? How else can a “computer model” predict random chaotic events that have not yet, and may not even happen? Events, such as condensation of water vapour into droplets, and back again, and whether they precipate or not (if indeed they existed at all), at some specific location or area of the planet. Sounds like hokum and gimcrackery to me. Barry, it is true that Realclimarte, and for that matter the IPCC reports such as AR4, and many papers by mainstream climatologists, have repeatedly stated that the role of clouds is not yet fully understood. However, when making projections based on models (based themselves on a poor understanding of clouds) the above acknowledgment of ignorance is not fully taken into account. A better understanding of clouds may potentially have an enormous effect on estimates of climate sensitivity, basically introducing a potentially large negative feedback into the equation. Thus these new developments providing more knowledge about clouds and pointing in exactly that direction are worth remarking. When one sees the next model projection of global warming due to CO2 emissions, a sign reading “Clouds ahead – Use your grain of salt” should be visibly displayed. Hector, IPCC climate sensitivity has a range that is the same size as the mean estimate. The projections accordingly have a wide range, widening the further forward in time. For any given emissions scenario, the range is about -40% – to +60% of the mean estimate out to the late 21st century. Uncertainties like clouds are included in the range. There is no need for bumper stickers – the uncertainties are discussed at length in the IPCC report. These things are not neglected is all I’m saying. If you think, like Richard Lindzen, that IPCC doesn’t allow enough range for cloud (or other) uncertainties, then that’s a different, more technical conversation (which I am completely unqualified to attempt). All else having failed to date, now they are going to try to hang the blame of their statistical generated global warming on poor puffy cloud, letting the repeating offender UHI off the hook scott-free. Do these alarmist climatologers have no shame?